A uniquely blended bitter paired with handblown glasses by Ben Dombey make an excellent gift for almost any occasion. The #singleordouble box can be just the right touch for a dinner party host, a birthday, any whiskey or cocktail aficionado, wedding favors, or even a housewarming gift. You will go through many bottles, so choose the right glass. After a trip to Scotland in 2011 followed by years of experimentation, Glassblowerben, LLC evolved. 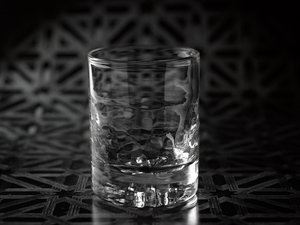 Ben began with this original medium sized glass, each the perfect weight and grip for a neat whiskey or bitters cocktail. Every glass is inflated by his lung power and 100% hand made in United States. Why we love Ben’s glasses. Thick glass, skull imprinted on bottom. What’s not to love? 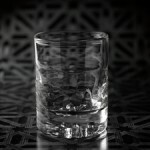 As a whiskey aficionado, this glass just sits perfectly in hand. The weight, clarity and design makes this the perfect gift for your whiskey drinker or cocktail lover. In regards to the artist, Ben has devoted the last decade to his craft, actually majoring in glass blowing at Tulane, and following it up with tons of travel and mentorships from Washington to North Carolina. Add two more years of grad school at the Rochester Institute of Technology in upstate New York, to his mix of experience and travel, and we have Glassblowerben, LLC. Cheers to you Ben and the love, passion and work behind these glasses! Glass Dimension: Approximately 2.75″ in diameter and 3.75″ tall. Holds approximately a 6oz pour. 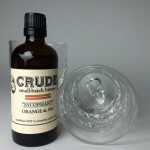 Crude Bitters & Sodas was started in 2012 to craft cocktail bitters for light and dark spirits and to blend unique flavor combinations to enhance the overall flavor of a cocktail. Each bitters and soda flavor is hand-made by human hands utilizing only the finest ingredients and careful attention. Crude Bitters and Soda was born in North Carolina (also hometown of Dacci). It was North Carolina’s first cocktail bitters company and the first, and currently only, bitters company to ever win a Good Food Award! These bitters are crafted in small batches from 100% maceration in alcohol, with no glycerin, chemicals or dyes. No plastic or metal is used in the storage or aging of these bitters, and glass pots or wood barrels are used exclusively to reduce any possible reaction or contamination. Not only do the owners take special care to achieve just the right flavor, they are also some awesome folks, passionate about their craft and oh so helpful to Dacci as we spent quite some time narrowing down just the right fit for our box! 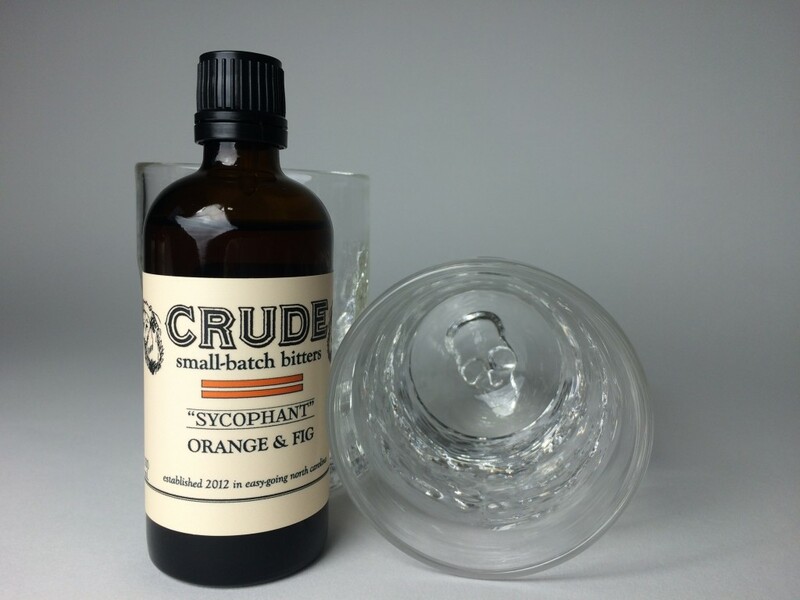 We decided on the most classic pairing for whiskey with this tasty Crude Orange & Fig Bitters.